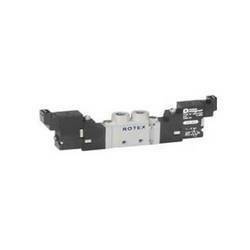 - Pressure range up to 70 bar. Valve Size: 1/4" to 2"
The M5 Compact System is a complete system offering control components with all the functions required for pneumatic sequence controls. They all feature 2n sub-bases and barbed fitting connections for 3 mm plastic tubing. - Due to the increase, the valve size can be reduced! Further they can be classified as Internal / External Pilot Operated, Air Operated. 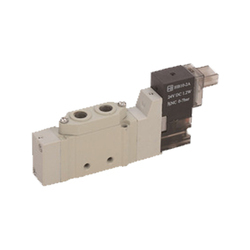 Solenoid valves can be single or double coil, 3/2-way or 5/2-way or 5/3-way and with different coil voltages! 3 Position 5 Ports Solenoid Valve Spool Type, Size: 1/8" 1/4" 3/8" 1/2"
Size: 1/8" 1/4" 3/8" 1/2"